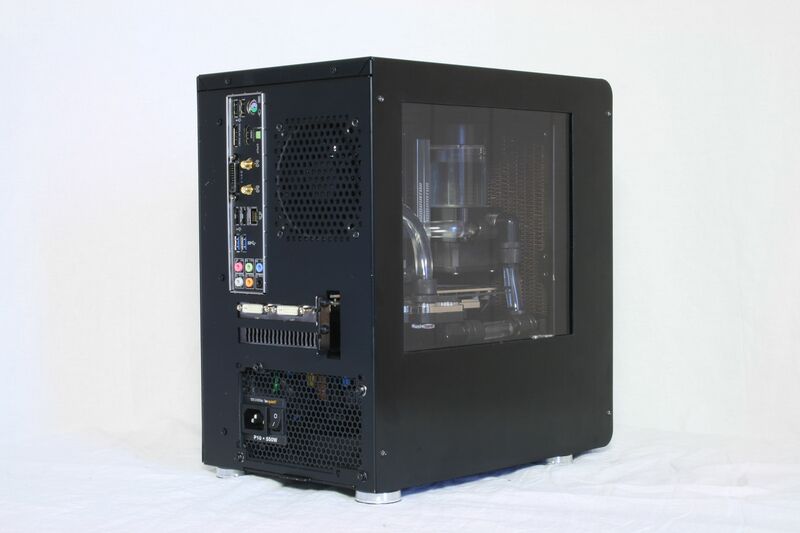 After months of wedding planning, moving to a new apartment, new job and everything else Im back, and this time with a casemod, usually Im working from scratch. I will hopefully learn a lot by this small project and get more modding experience. 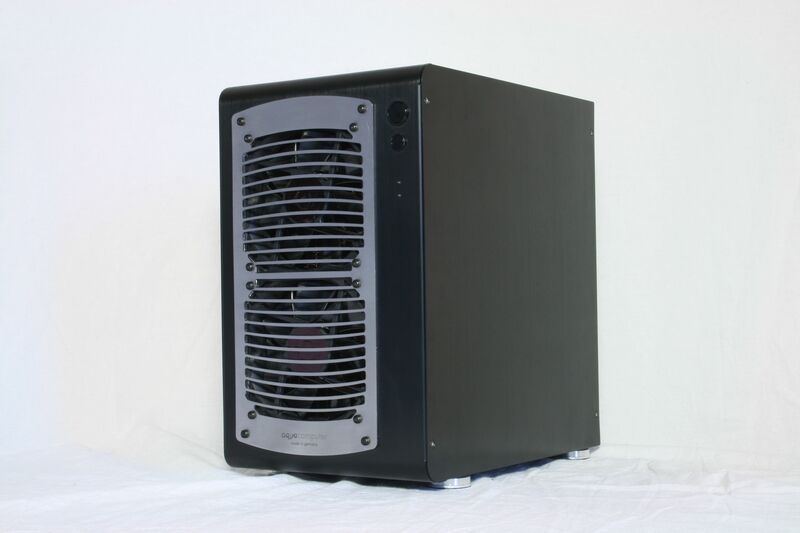 In my opinion I've found the ultimate mini-itx case, the Cubitek Mini Cube. 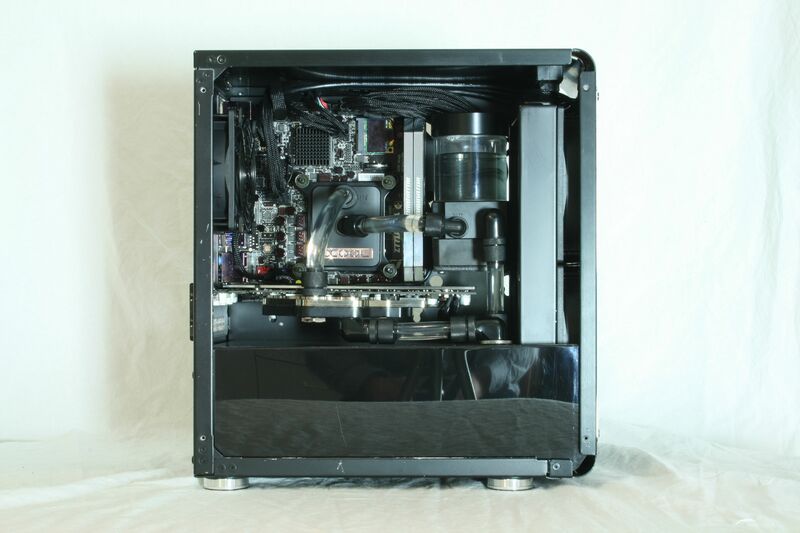 Ever since I installed a computer for a friend in this case I have been in love. 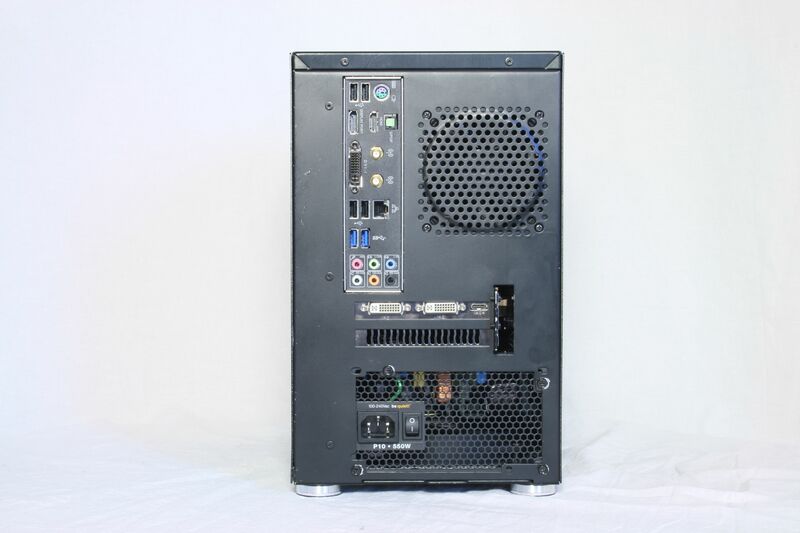 It is clean-looking, has A LOT of space behind the motherboard for both cablemanagement and harddrives. 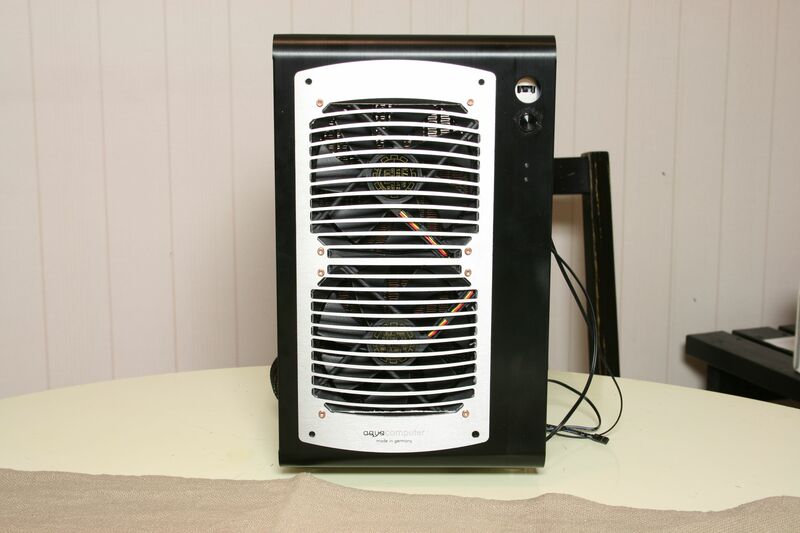 My idea of this casemod is to make a "stealth" mod. Everything will be black except for some small details that will be the small contrast to all the black. 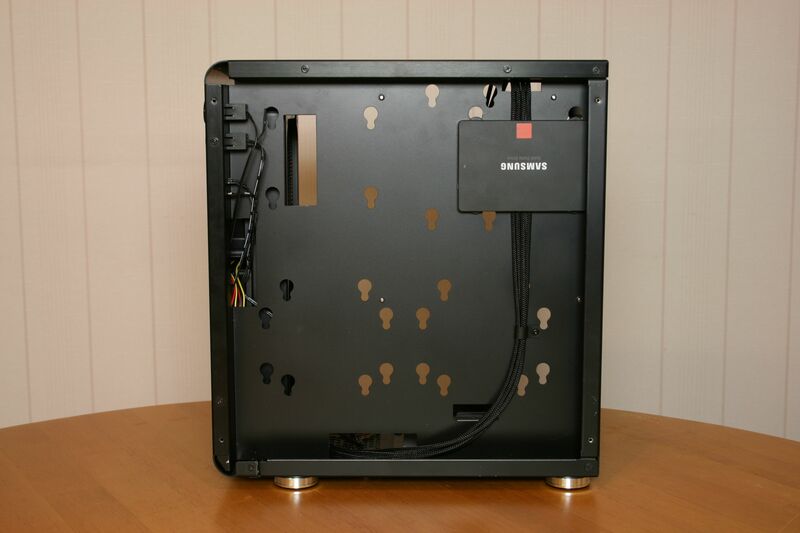 So I will start by taking the case in two parts and paint everything that isnt black. 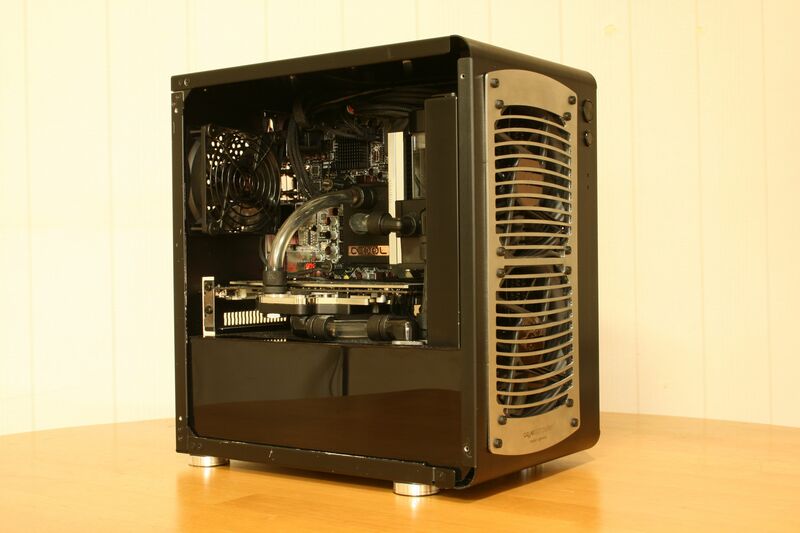 Then I will be installing a 240mm radiator in the front, yes you heard me, I will be making a big hole in that nice-looking frontpanel. 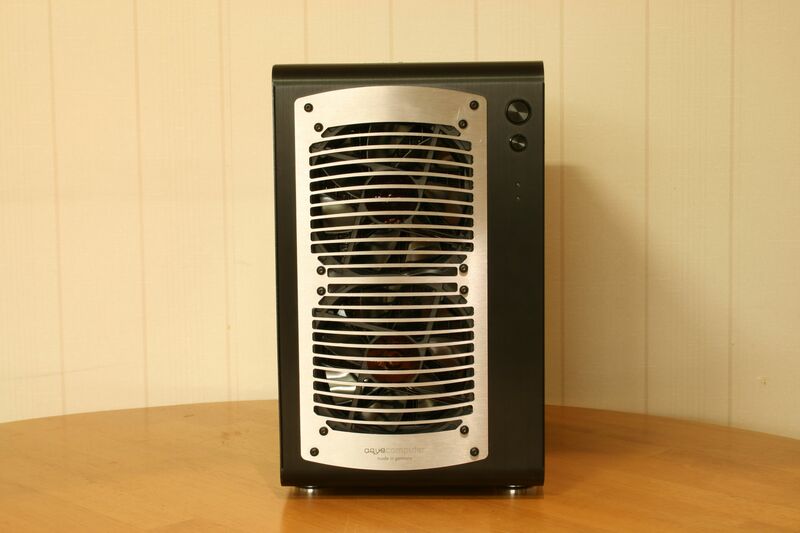 But dont worry, I will be covering it up with one of the most awesome-looking radiator grills from Aquacomputer. 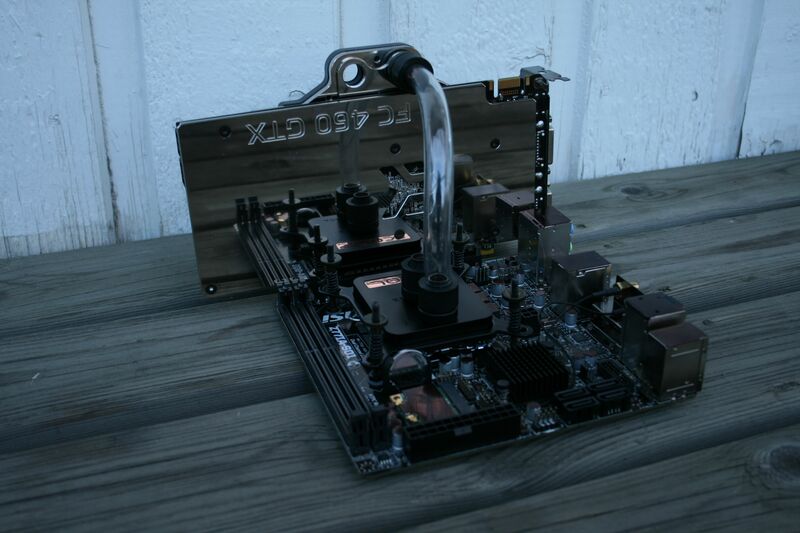 This is the hardware Im aiming for, most of it I already have. 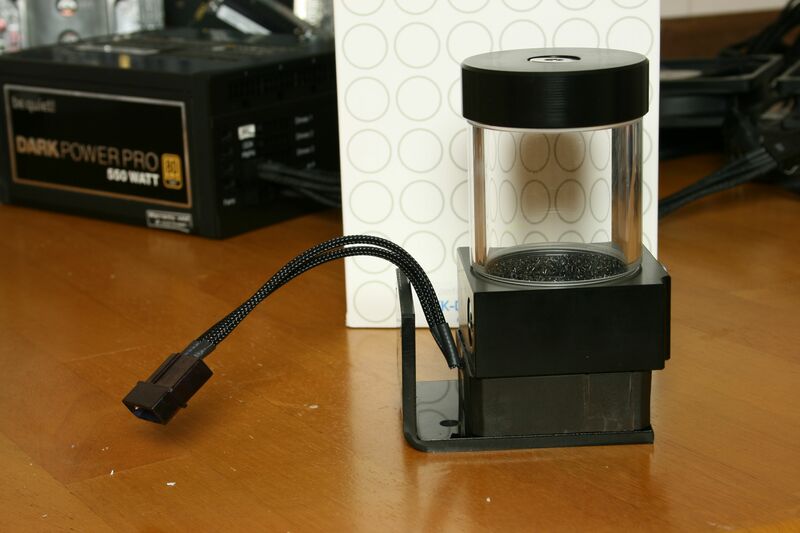 EKWB is sponsoring me with new watercooling gear for this build! Thank you! 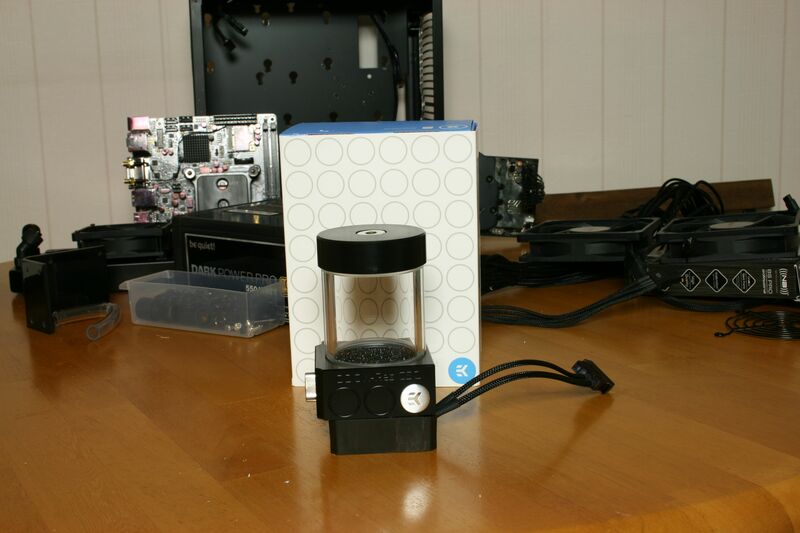 I want to thank Cubitek for providing me with the Cubitek Mini Cube. 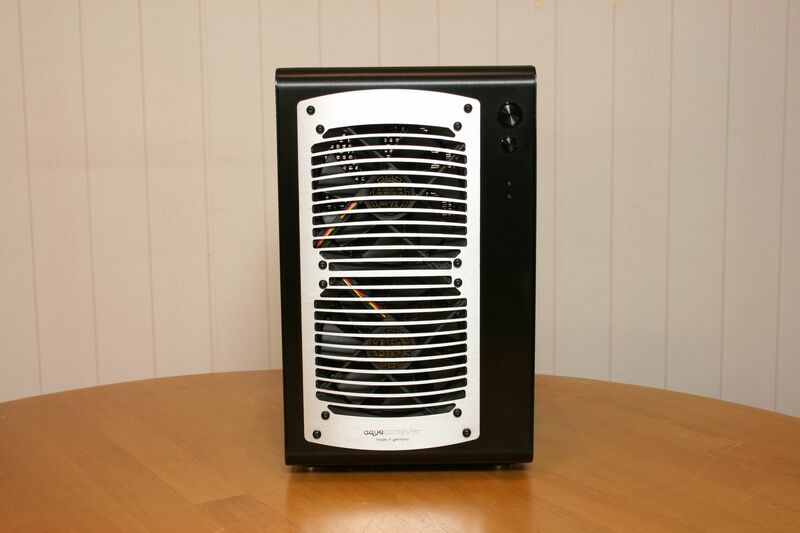 In my opinion the best mini-itx case there is! 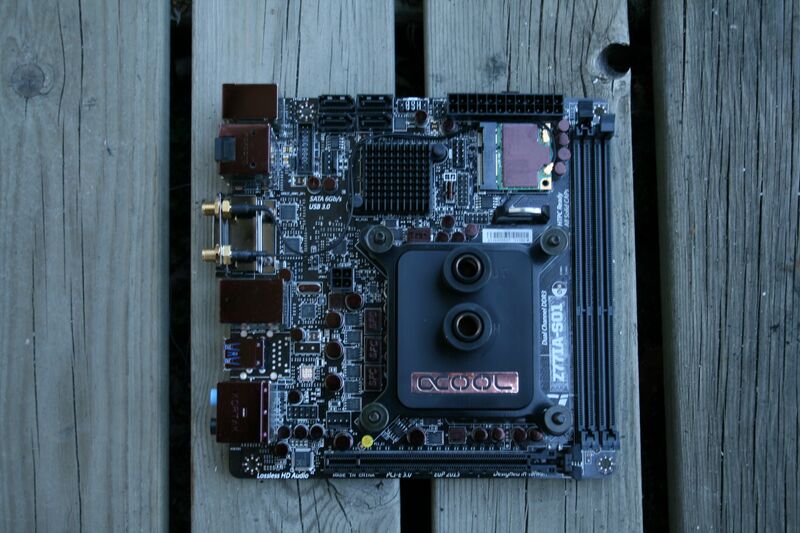 I also want to thank MSI for providing me with the motherboard for this build, the MSI Z77IA-S01. 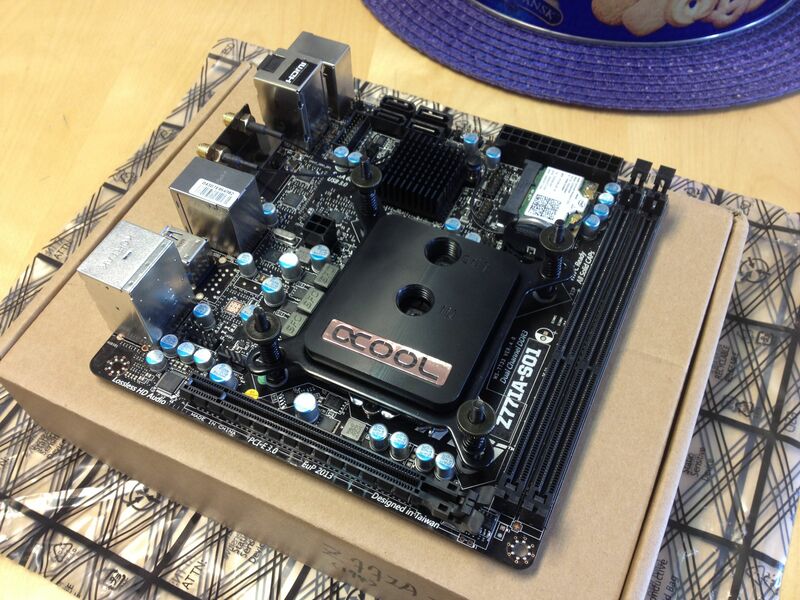 A nice looking black motherboard, perfect for this build. Im grateful for CDON.com. 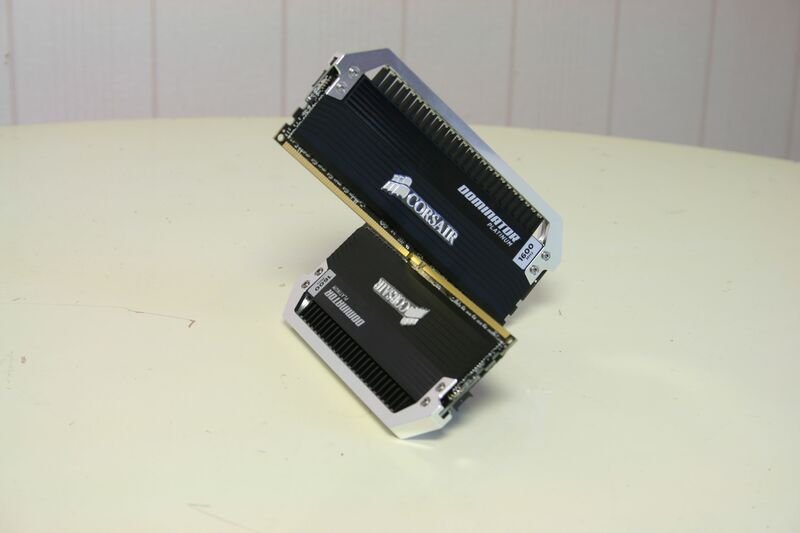 They helped me with the ram, a 2x4gb kit of Corsair Dominator Platinum. Be-Quiet! 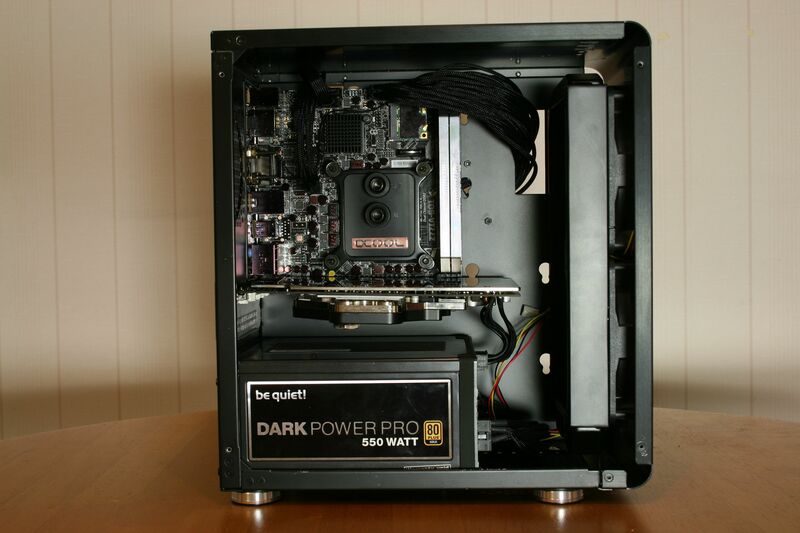 also helped me with the power supply, the Dark Power Pro P10 550W. Icemodz.com gave me a really awesome led-stripe to use, thank you Mundi! 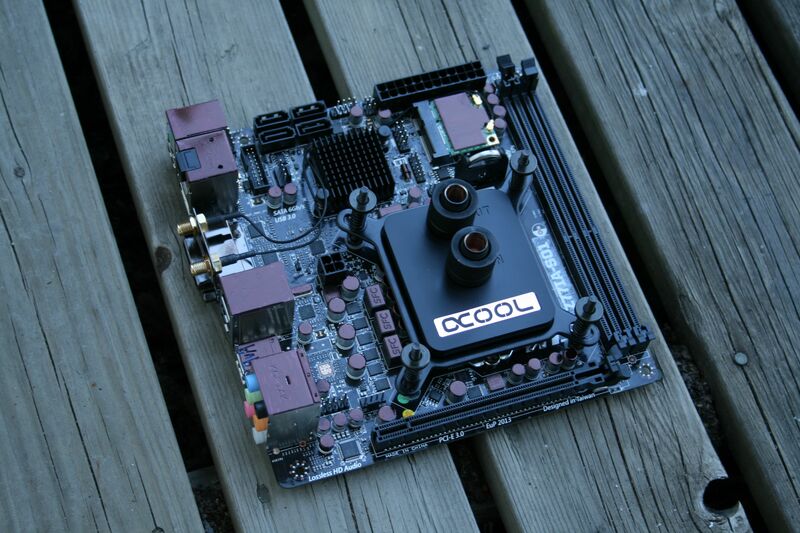 Here is a overview of the motherboard with the Alphacool XP3 Light block installed. 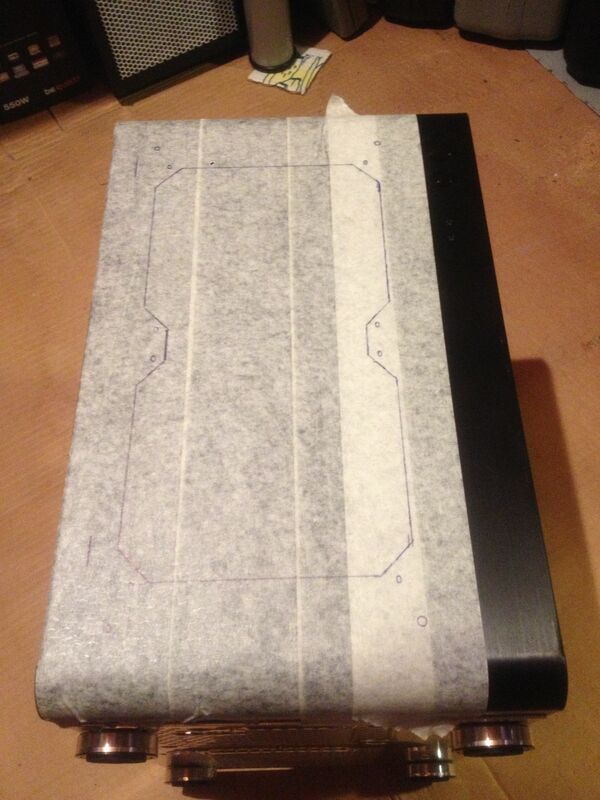 backplate, that and the radiator grill will make a sweet contrast to all the black. 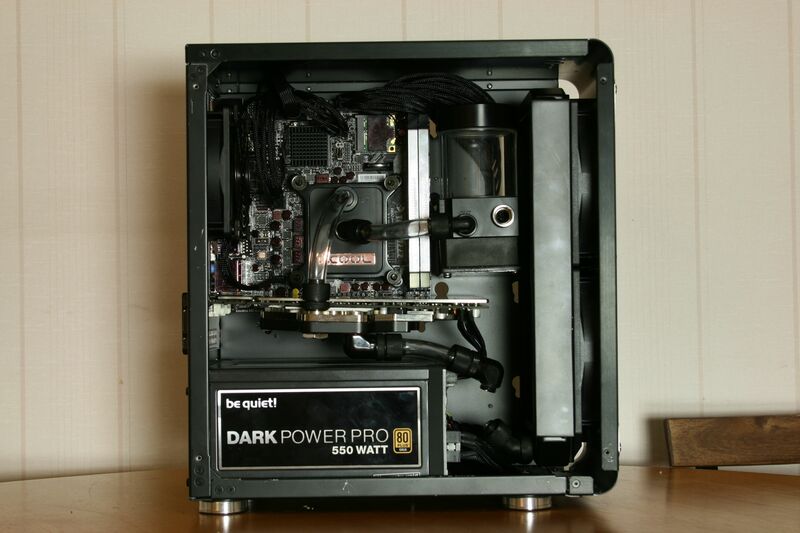 Some Corsair Dominator Platinum would look awesome here! I would like to start and thank all the sponsors again for making this possible. 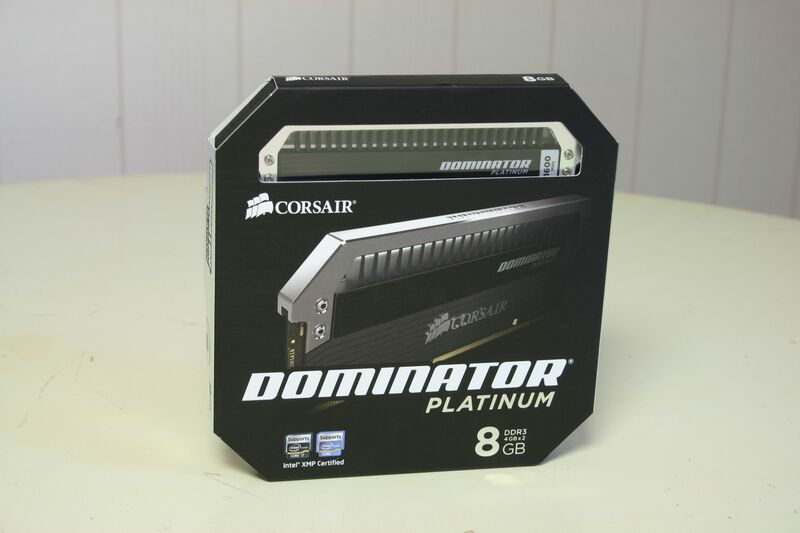 The Corsair Dominator Platinum arrived a few days ago, really nice ram. 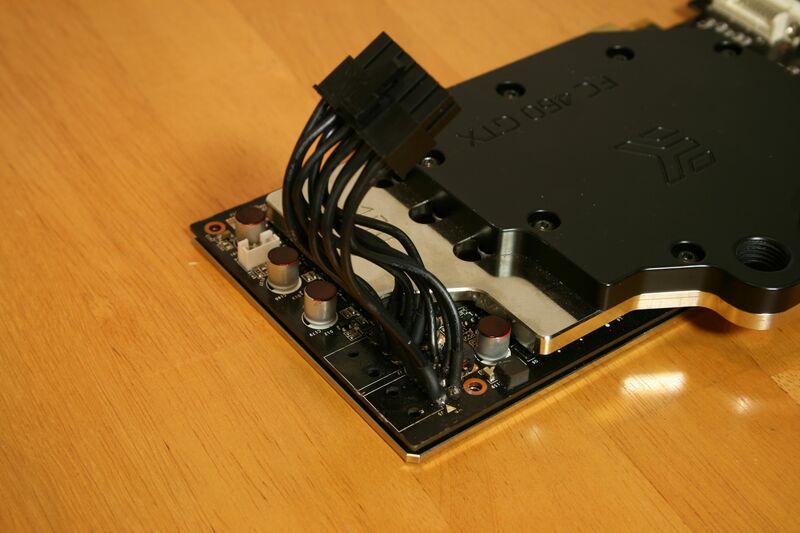 It really fit in with the shiny backplate too! I also got the Be Quiet! 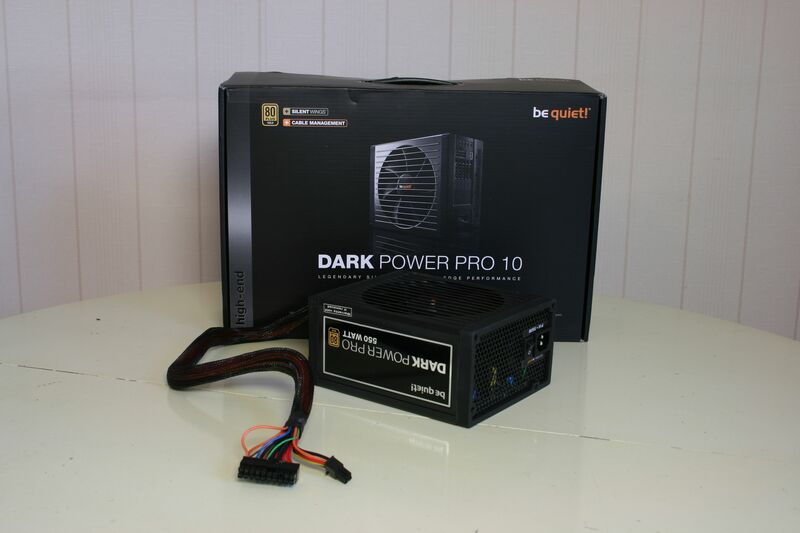 Dark Pro 10 550W power supply. 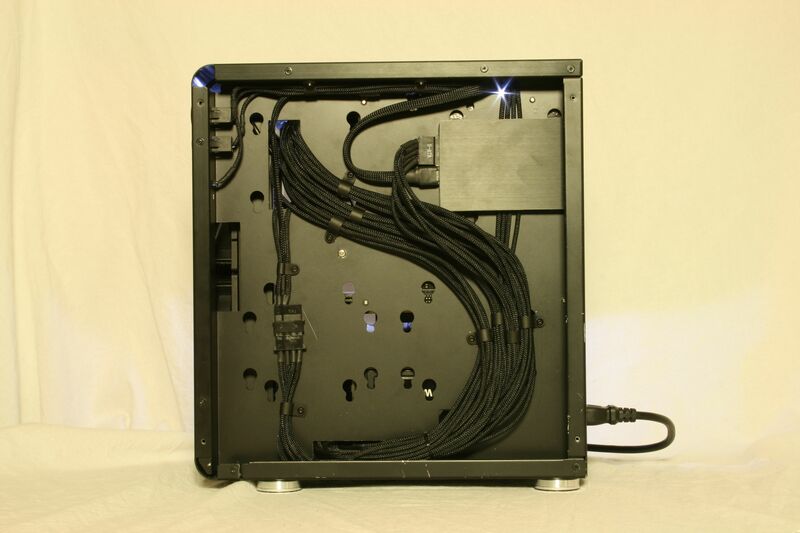 Really nice package with a lot of cables and extra stuff. Thats all for tonight... Or wait, Ill give you a sneek peak. projects and reviews. Means alot! 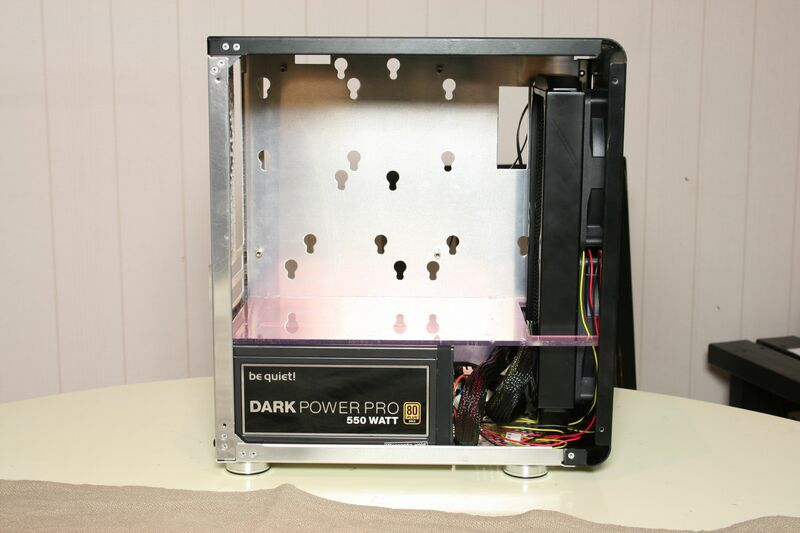 I also made a shroud that will cover the power supply and pump. Thats all for tonight, Ill be back for more in a few days. I have a lot of fun stuff to share. I have many new ideas! Im back for a little update. This is what I have done so far. Add some black to that! This is how it looks. What do you think? 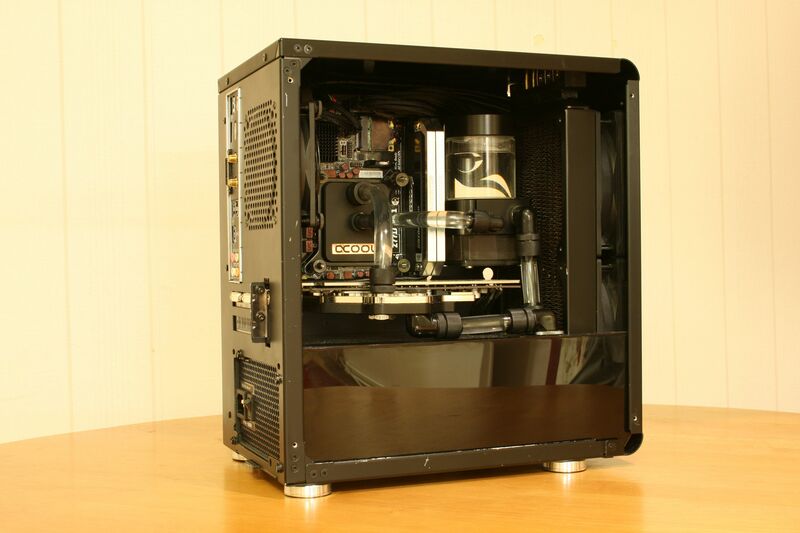 transparent tubes with regular water to keep it clean. 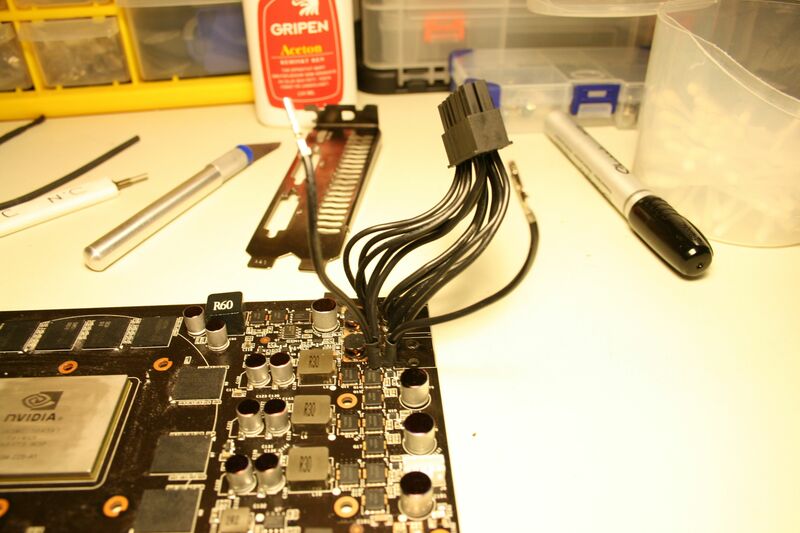 hardware isnt my every day thing, but, I started it up and it was no problemo! Here you see how close it is between the two. 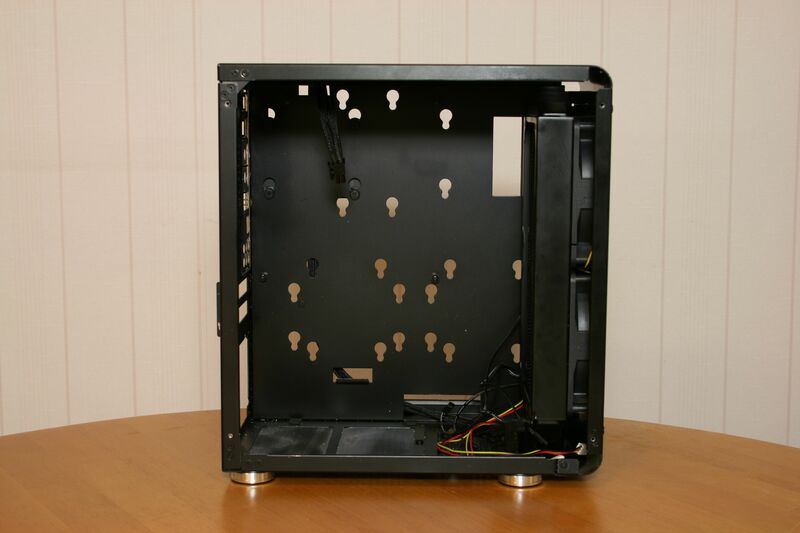 fan holes in the frontpanel. 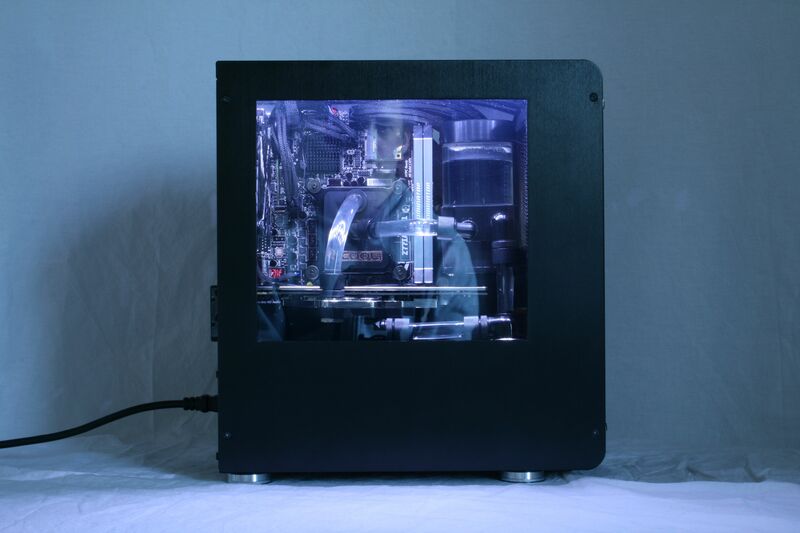 Well what do you think of this casemod this far? Give me some criticism! Last edited by C4B12; 01-23-2014 at 09:25 AM. Time for a little update. I received the last hardware this week. 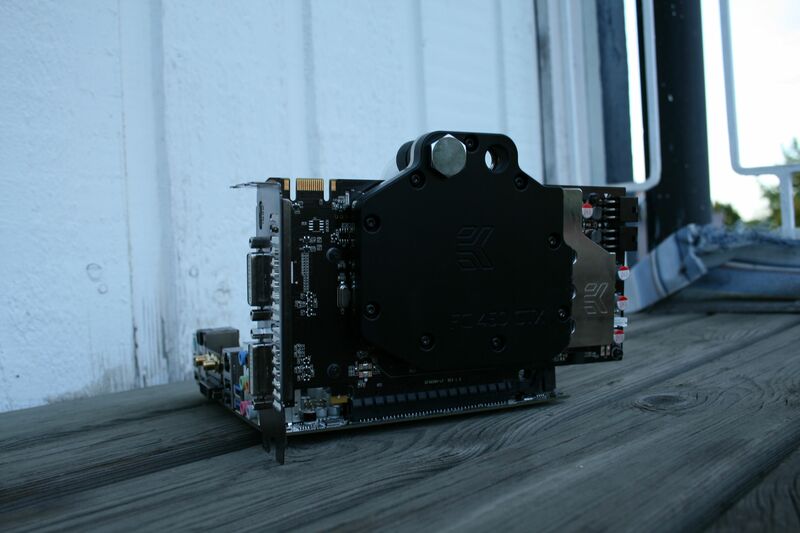 Some Noiseblocker fans and a EK X-Res 100 DDC. Really love these fans. 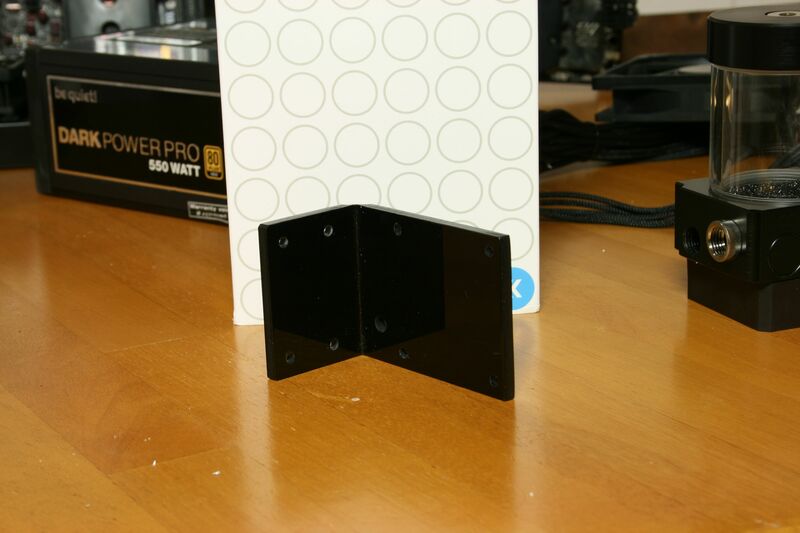 2x 120mm and 1x 92mm PWM versions of Noiseblockers Blacksilent. Really fits this mod, still looks very clean though. This res pump combo is really nice too. 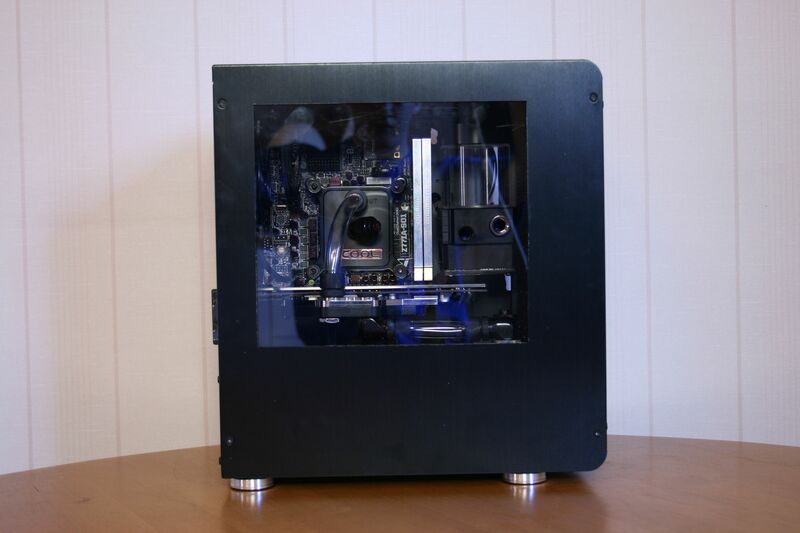 I modified a DDC plexi mount from XSPC to install it in the case. This is how I will run the loop. 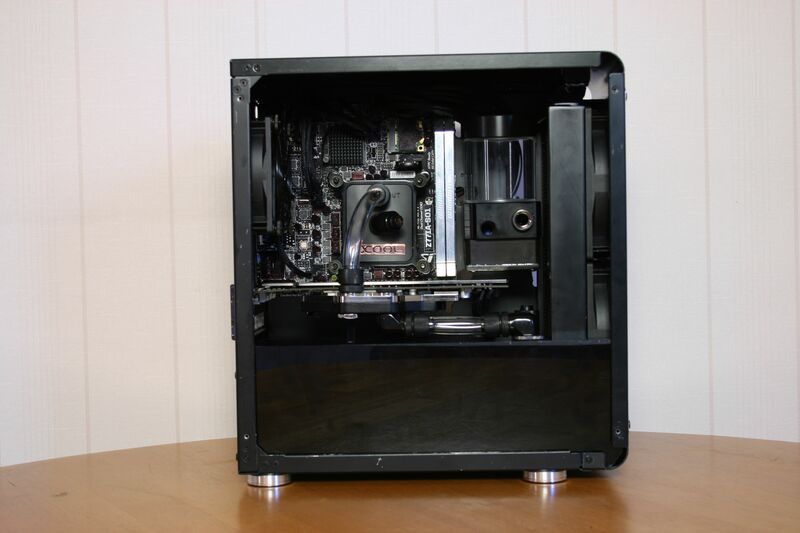 Im going to finish the shroud and add some fittings to it to get the tubes through it and down to the radiator. 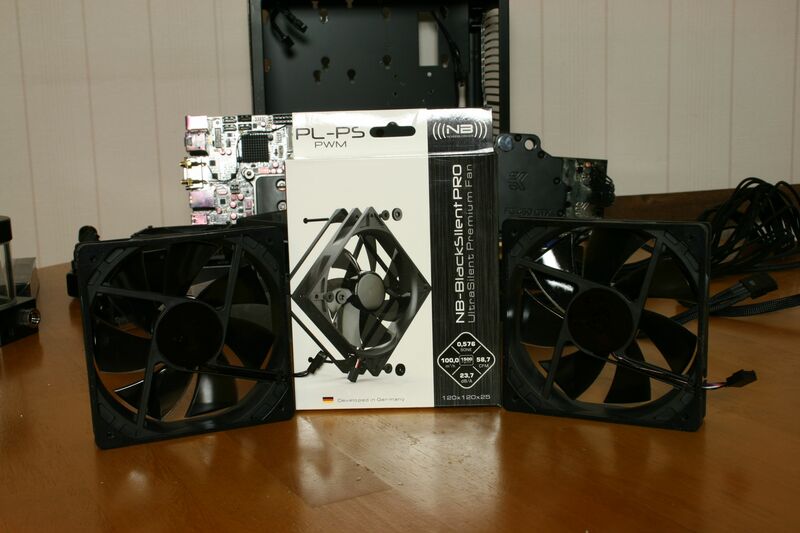 Really love these Noiseblocker fans! 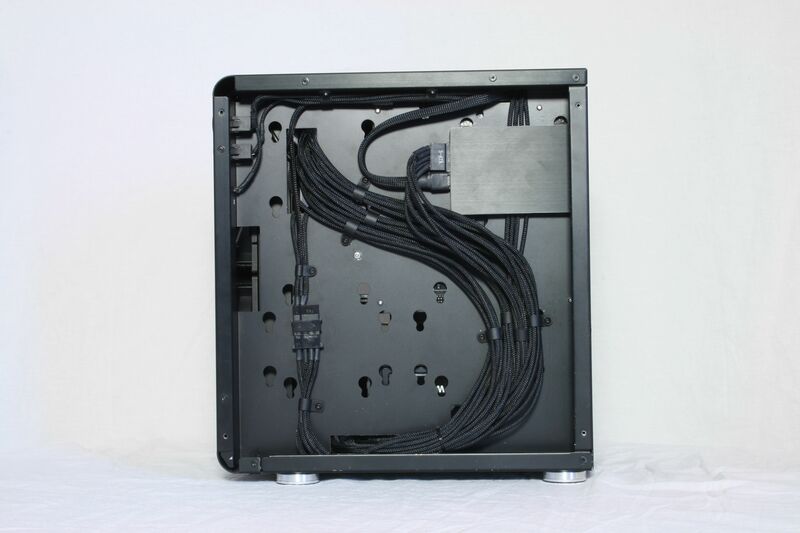 This is also how the cable management will look on the inside. 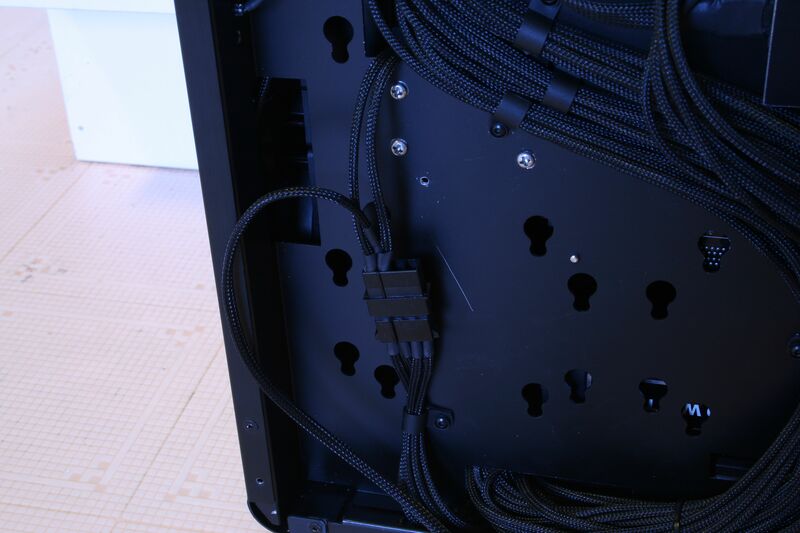 And here is the finished cablemanagement in the back. Im pretty satisfied with it now. 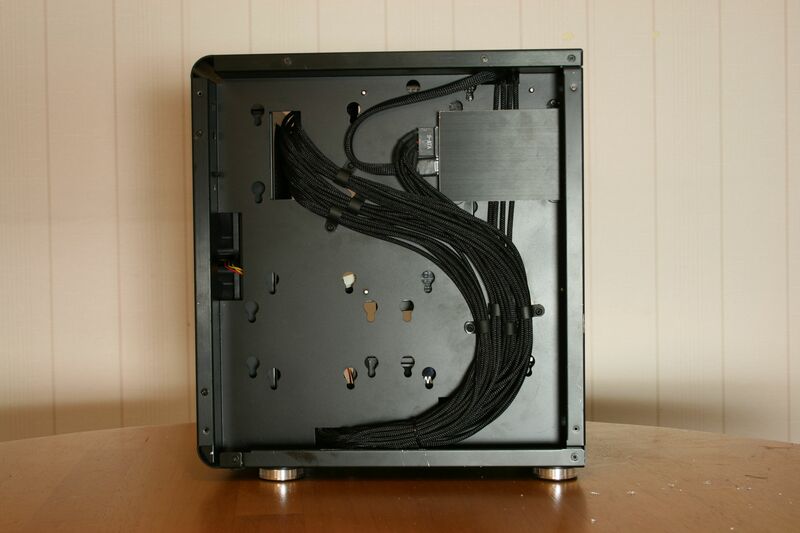 The molex is for the 18W DDC pump. Dont have much left to do before this project is finished. What do you think about a window mod? Do it or dont do it? Full window or a smaller one? the Month August. Go and vote for your favorites! 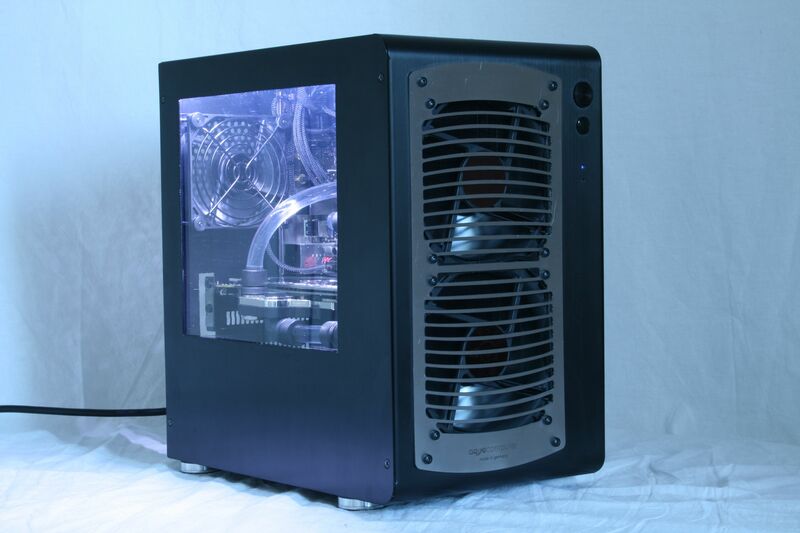 I am also hosting a modding contest for those who live in Sweden, Denmark, Norway and Finland at my website. 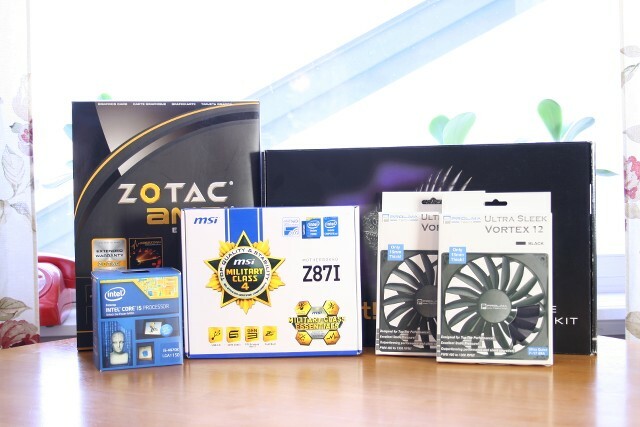 Check it out, got prizes from Bitfenix, Cubitek and others. It is time for another little update. I have been working on the loop a little bit, right now Im just waiting for the last three fittings then its time to fill it up! 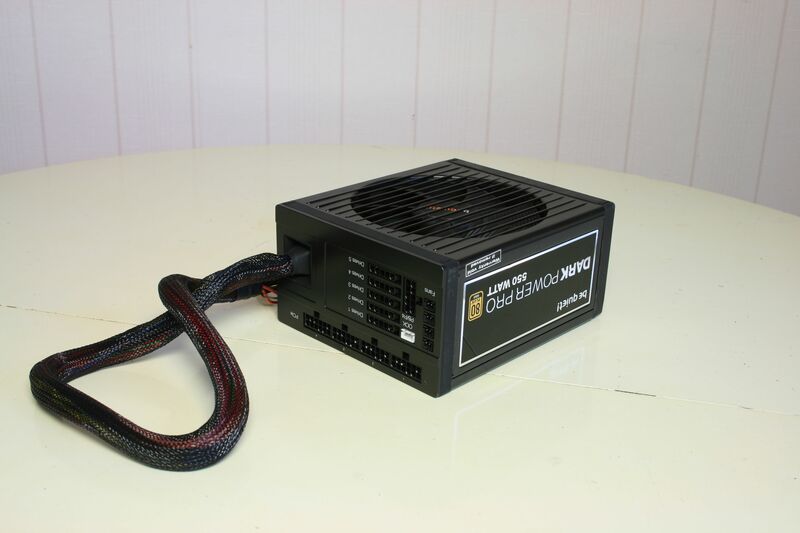 I also finished the shroud/psu cover. Got some time today to work on the window too, just need to file and sand the edges. Installed two fillports to the shroud and painted it black. This is how the full shroud looks like, I like it! This is how Im going to run the loop. 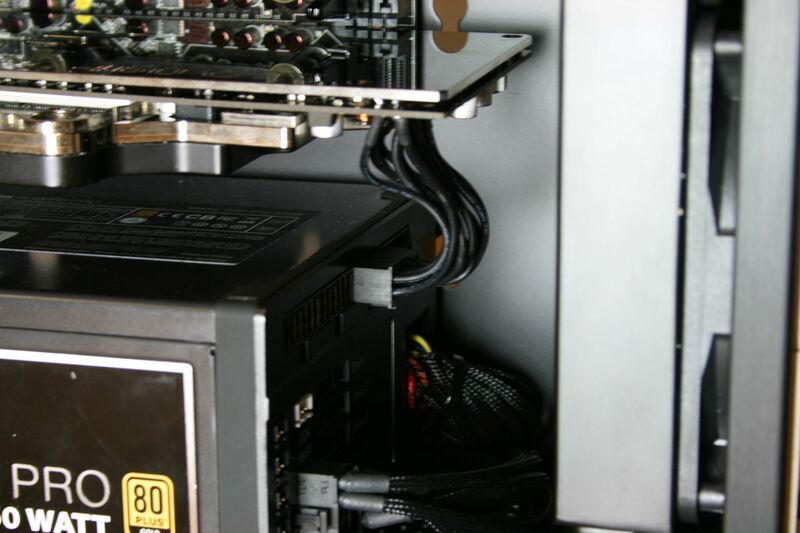 Only thing left is from the CPU to the RES and down to the rad. I also started working on a window, this is the layout Im going for. Just need to trim the edges a little bit. The only things left to do is to fix the paintjob, finish the loop and fix those edges for the window. Almost done with this project, feels great! Its been too long since I updated, so here it is. 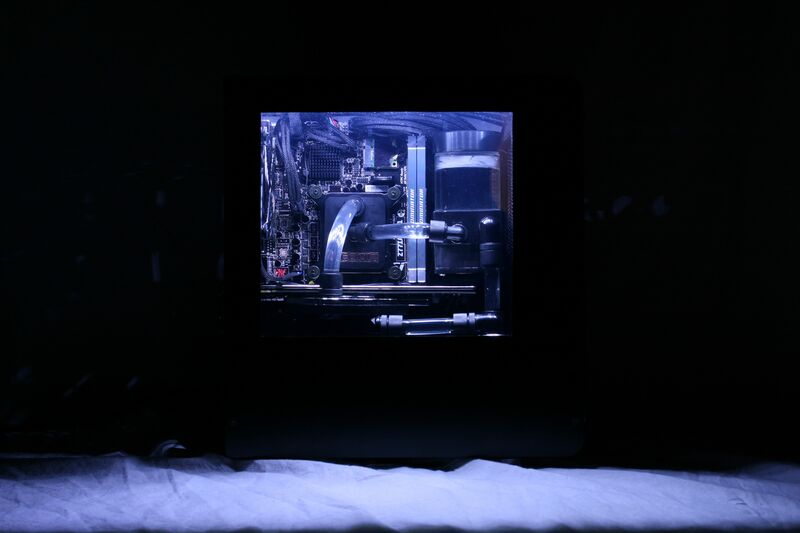 I have finished the loop, shroud and installed OS and so on. The last two things left to do is to fix some scratches and install some lights. 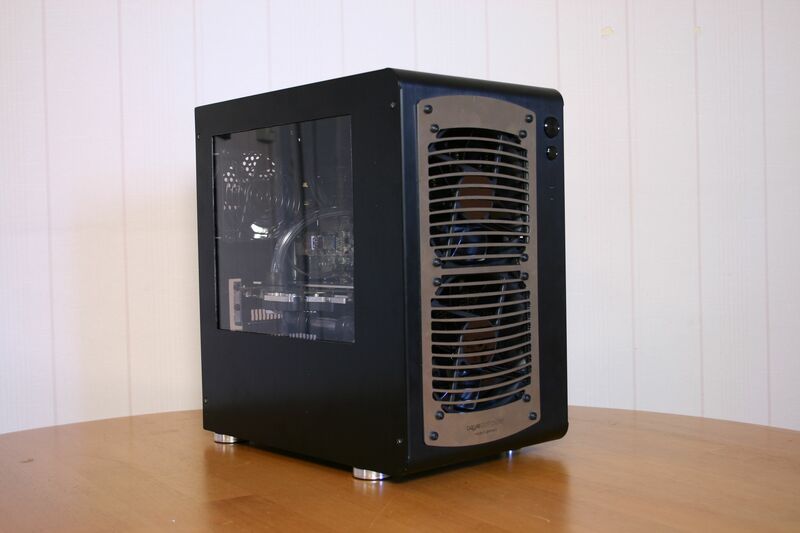 I dont want to use a u-channel around the window edges and I dont really know if I want to have it like now either, maybe a frame in the same finish as the radiator grill? 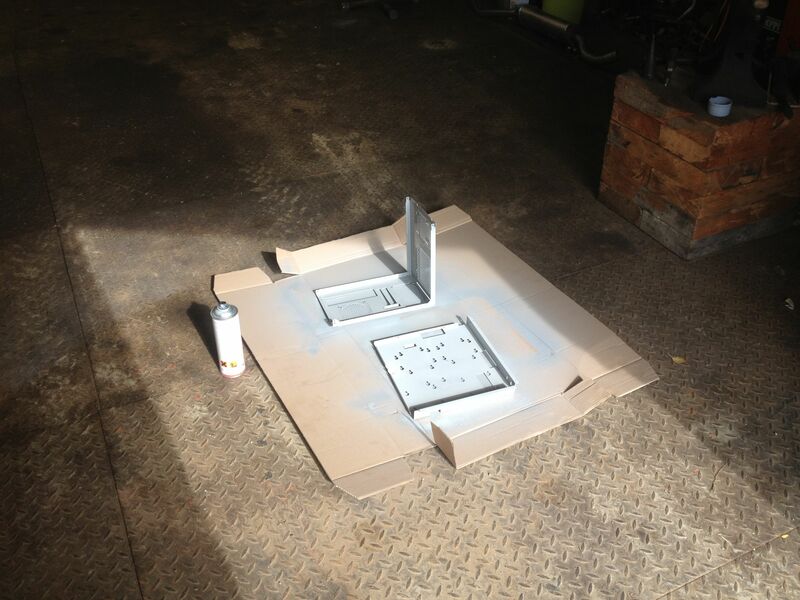 However, here are some pictures on how the case looks like 95% finished. I will probably get the lights next week so I will install that as fast as possible and then start working on the final pictures. 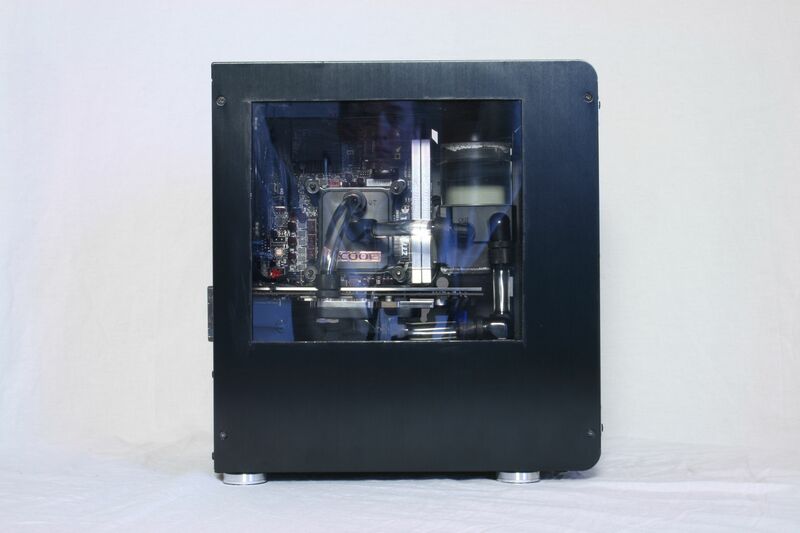 privilege to show this casemod at MSI's booth there. Its going to be awesome, I hope I meet some of you there. I want to start by announcing another sponsor. 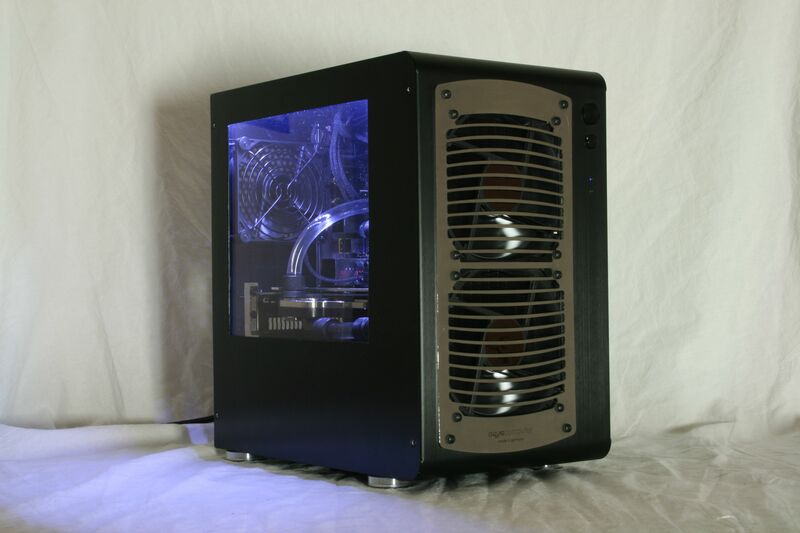 Icemodz.com sponsored me with a white led-stripe to use to spread some light inside the case. Nice sleeving on the cable too. 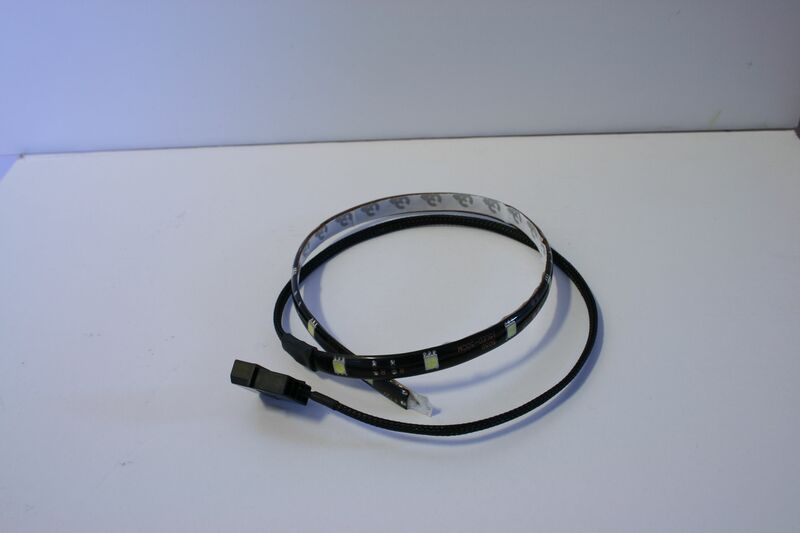 Combined it with the pump cable. So I installed this leds today, would you like to see some final pictures? I HOPE SO. I feel like Im 98% finished, so here they are! I dont have any photoskills at all, so maybe you could give me some tips about that? Cause I would like to learn so I could take some better final photos. Advice? Other than that? 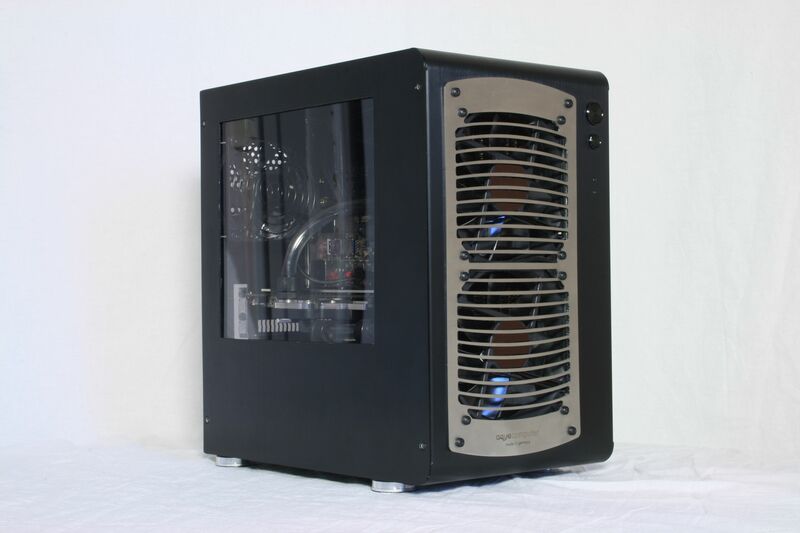 What do you think about this mod? 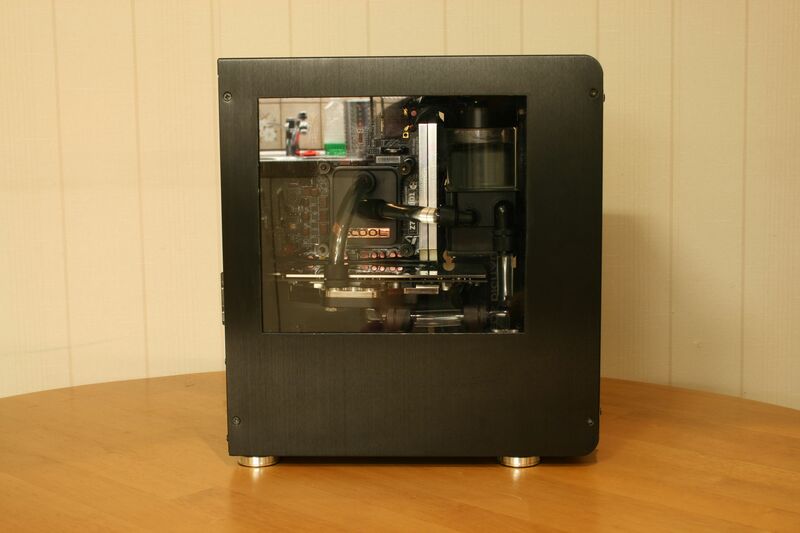 Im pretty satisfied with it, my first official casemod, I learned a lot and thats what I love the most. 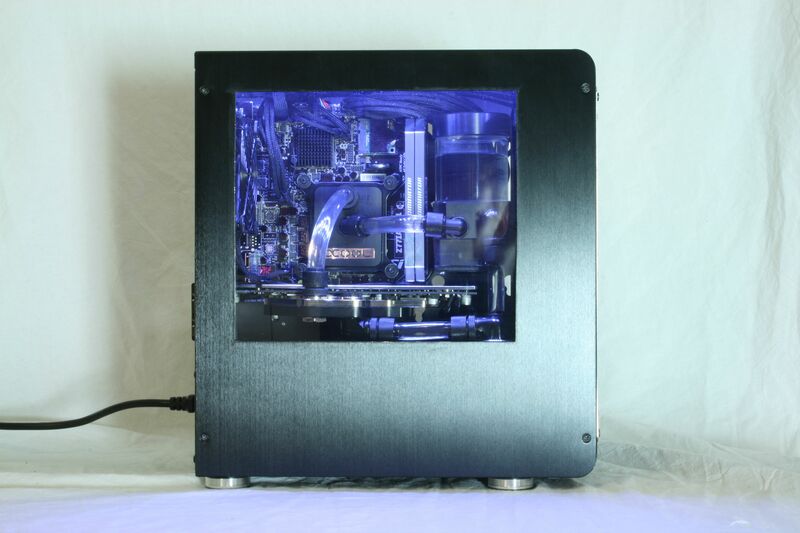 think there will be more casemods from me in the future. I was not really satisfied with my pictures so I took some more this morning from different sides and angles. Im going to talk to some friends who maybe could work on the pictures in Photoshop to make them better. I also want to say a big thanks to all my sponsors who helped me with all this. Wouldnt be possible without them! Support me and them by clicking on this links and checking them out. 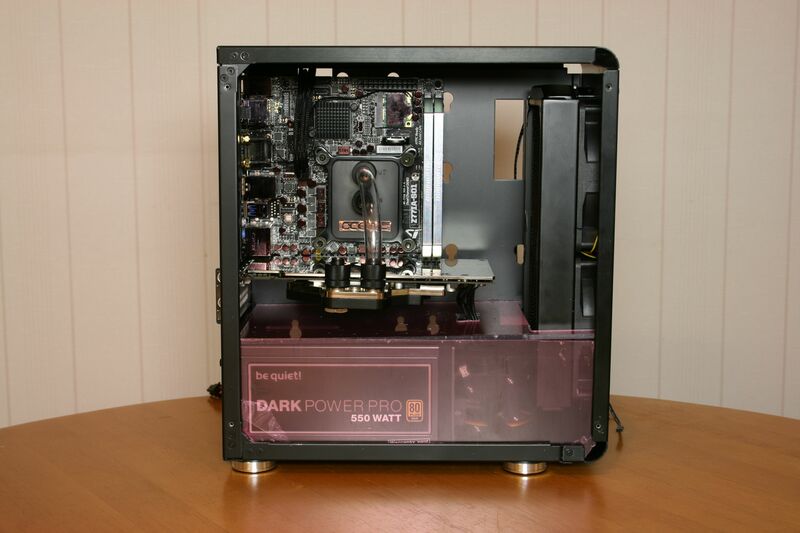 Im back and Im going to remake this build. 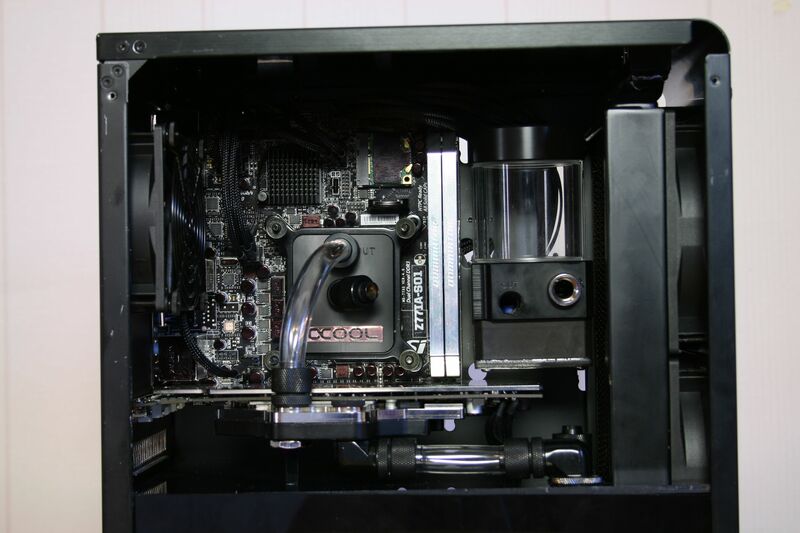 What Im going to do is upgrade the hardware aswell as the watercooling gear. 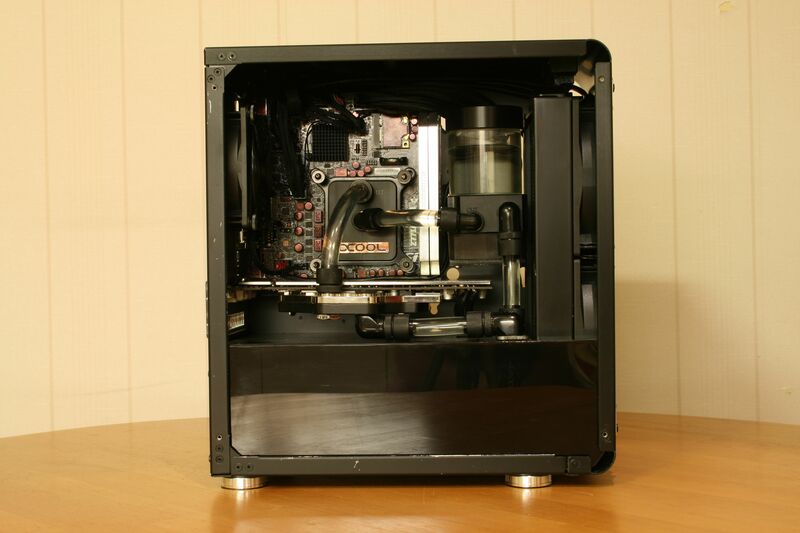 I will also go for the solid chrome copper tubing idea I had at the beginning. 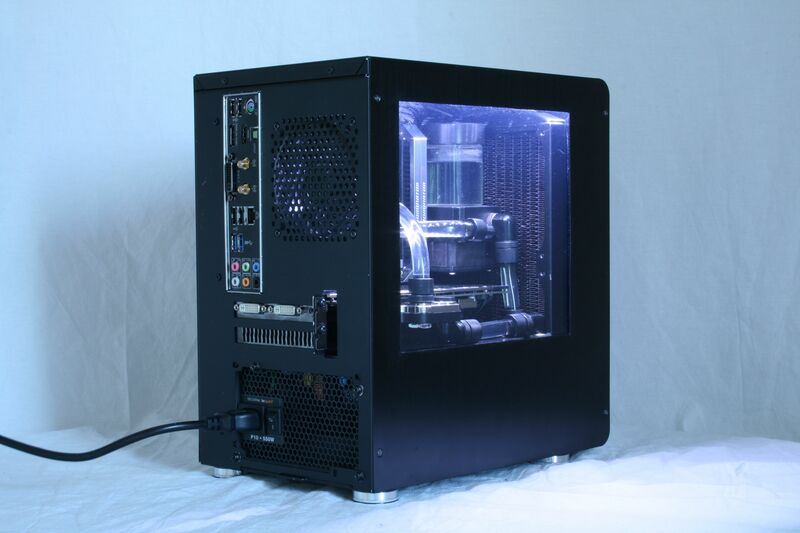 Im still waiting for all the watercooling gear from EKWB so I havent started modding yet, I need the radiator to start measure out things. 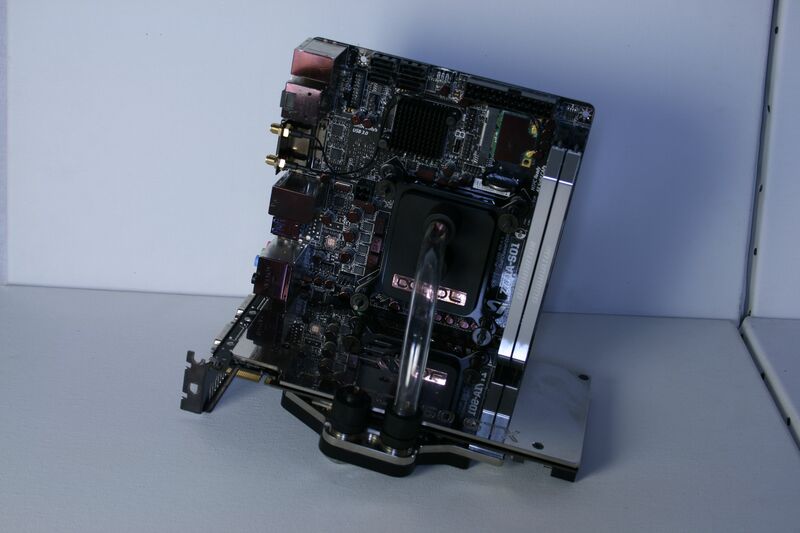 I could give you some pictures of the new hardware I got though. 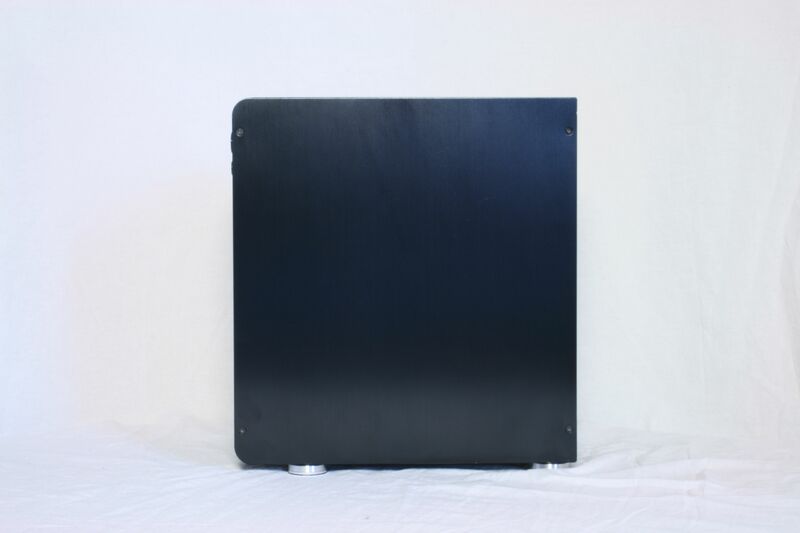 I got Be-Quiets silencing kit, cause Im going to make two sets of sidepanels, one with windows and one without and with silence mats on it instead. 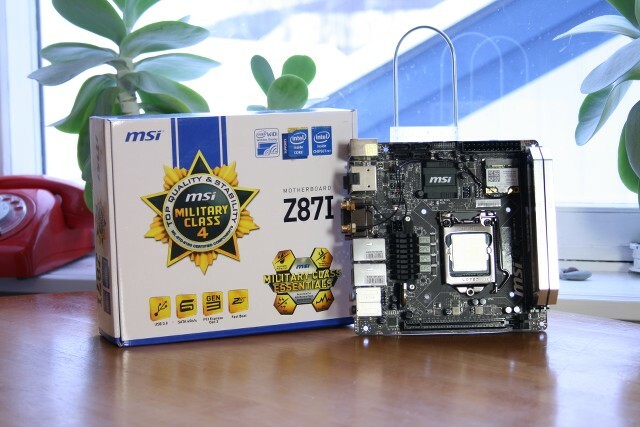 The MSI Z87I looks really good, black caps is awesome! 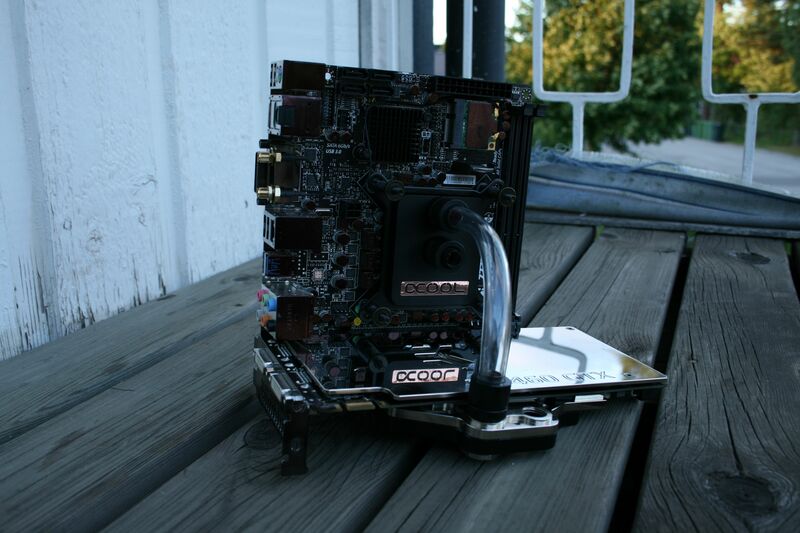 This GTX 760 from Zotac is really cool to, really short cooler and it still fit a waterblock if needed. 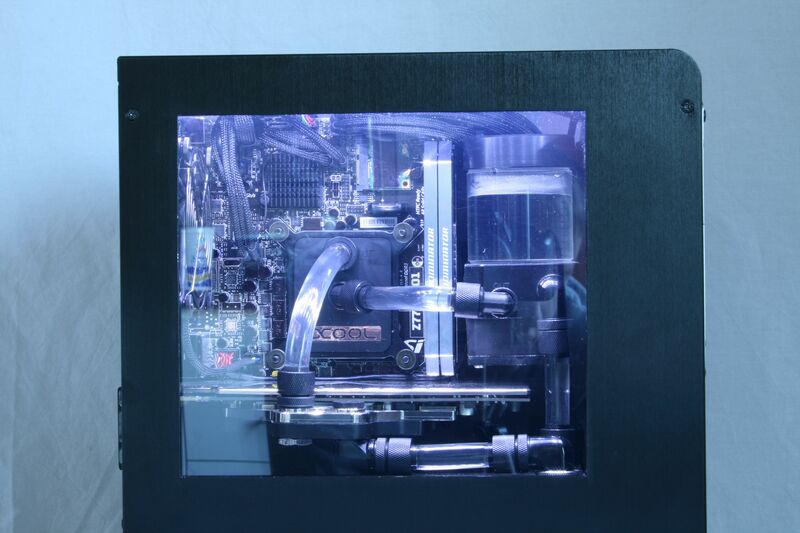 I also want to say thank you to Caseking.de for giving me awesome prices on this hardware! I hope I could start give you real updates soon! Last edited by sova53; 03-06-2017 at 11:49 AM.